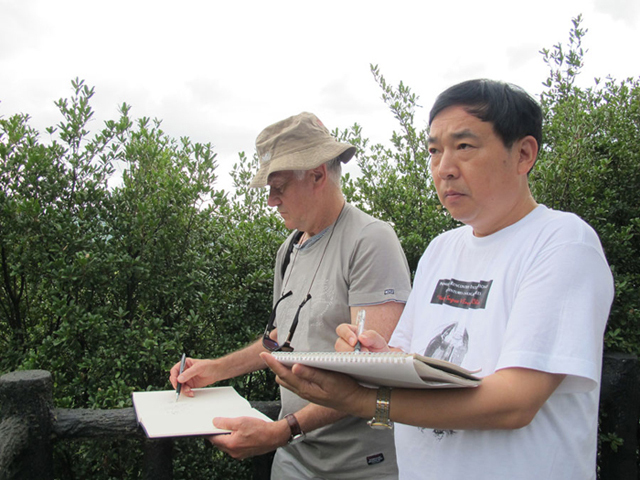 During a symposium Robert Faure made the unexpected meeting of a Chinese painter, Master TANG making a demonstration in a side event. Robert Faure was impressed by his skill, accuracy of his eyes and the strength of his actions. This event causes the spark which will not disappear over the starting point of his practice and exploration of this art. 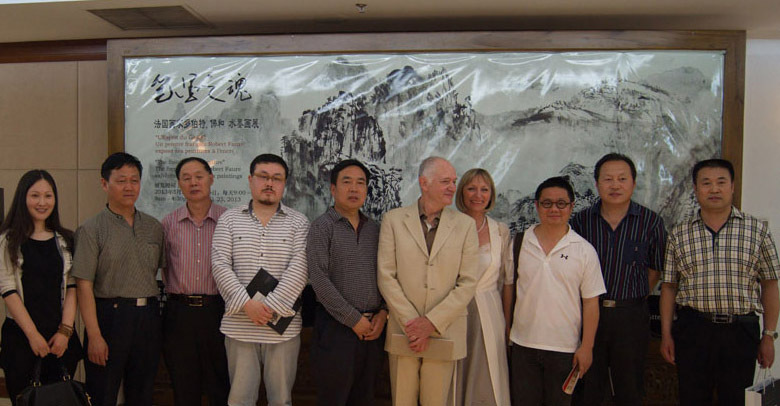 In this short relationship, as opposed to traditional teaching, Master Tang invited Robert to reproduce the works of great masters to look for the spirit of their paintings. 10 years later, encouraged by the Japanese artist Hachiro KANNO met in Paris, Robert Faure transcribed his philosophy and practice of painting in the book '' Gesture of the Spirit '(Editions du Chêne). 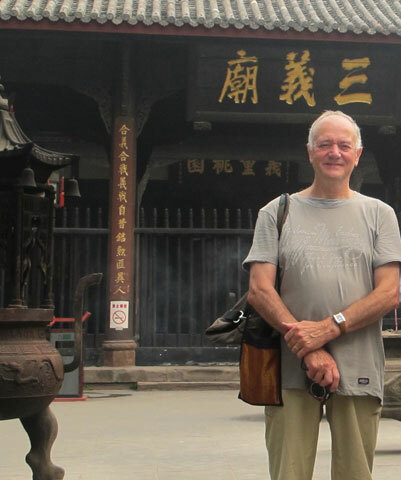 His first trip to China in 2005 puts him in touch with an exceptional Chinese teacher he met in the Yellow Mountains (Huangshan). 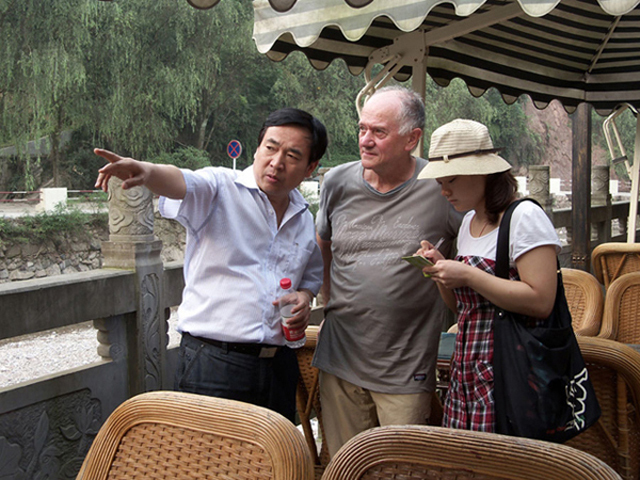 Despite his popularity and painting courses on Chinese television, Li Xiang Hong agrees to support this European in his artistic approach. 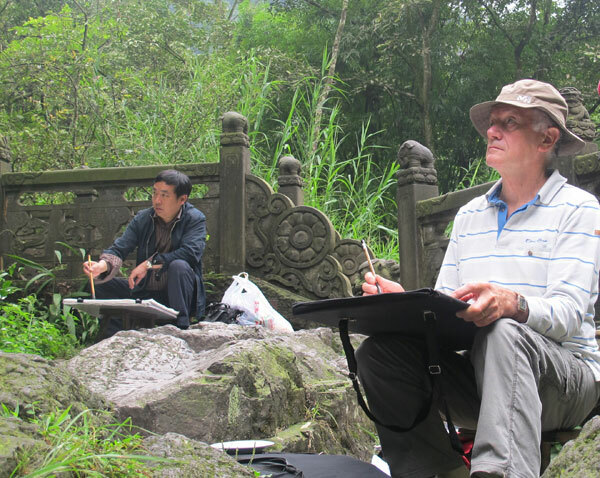 Since then every year Robert FAURE travels with him through different landscapes of China. He thus perfects techniques, gestures, angles and inking he could not find in any book but he experiences directly from nature staying with him. 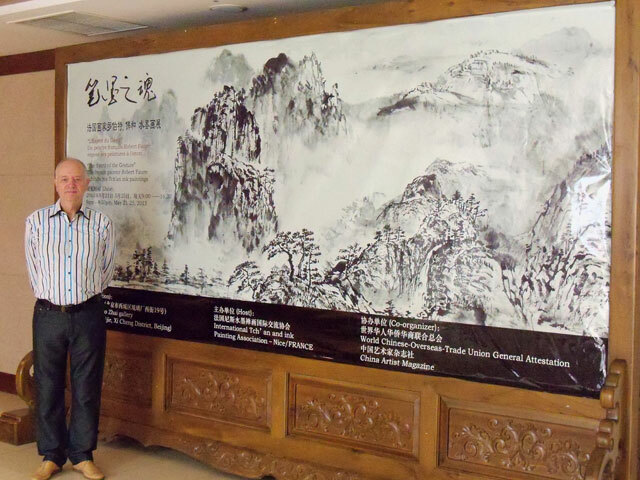 Robert Faure exhibited in various cities in France, and in 2013 he was the first Western painter of tch’an art to exhibit his works in the famous national Gallery Rong Bao Zhai of Beijing founded in 1672. 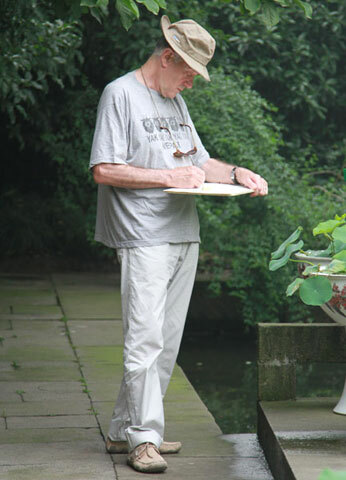 In 2014 he was invited to exhibit at the Hanhouse Museum of the Academy of Fine Arts in Hangzhou. 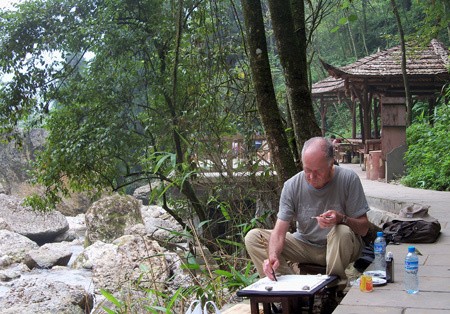 His paintings were highly appreciated by numerous professional artists, teachers and students of the Academy.
" 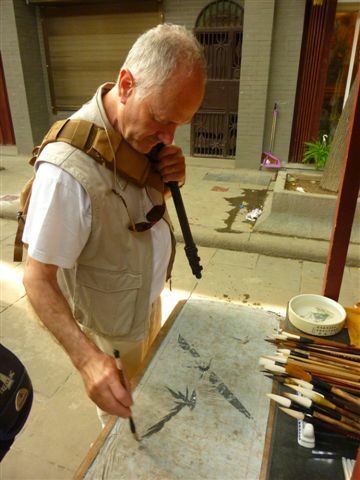 Your ceaseless passion and your firm courage led to you to surmount many difficulties during the apprenticeship, but your results arouse our great admiration"
" It is difficult to understand the main part of this former art if we do not know well the Chinese culture. 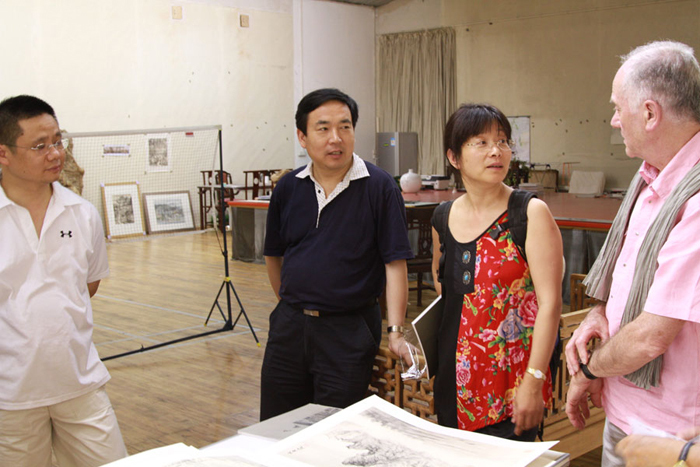 But you, after several journeys in China and after numerous communications with Chinese painters, you get with intelligence the "Tao" of the chinese painting".